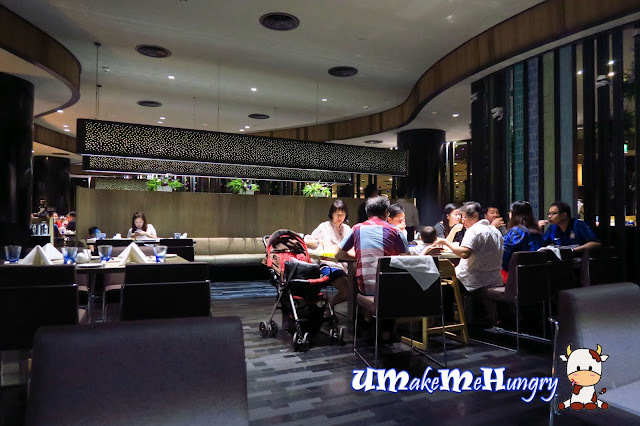 Travelling to Changi for dining is quite an uncommon task that we will do in our checklist. 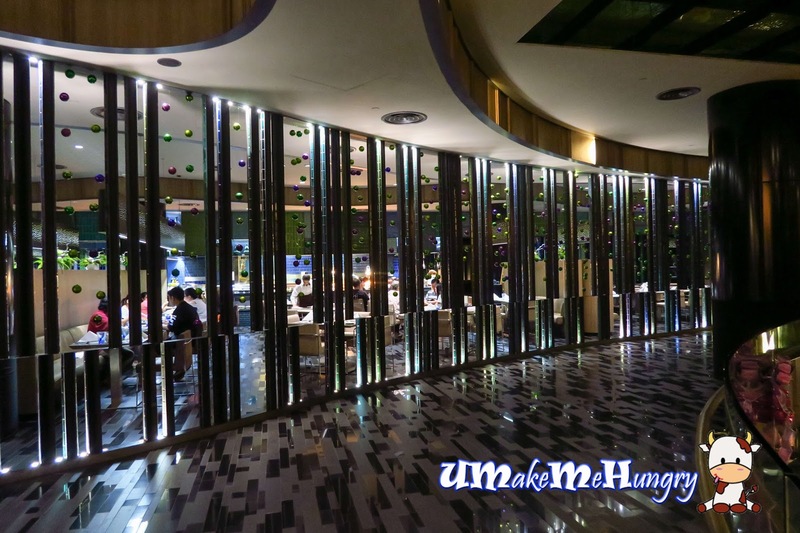 If not for the pair of winning weekdays dining tickets to Azur Restaurant in Crowne Plaza Changi Airport, we would not have been here for a buffet and travelling extremely far end to the East from West (where we are residing). 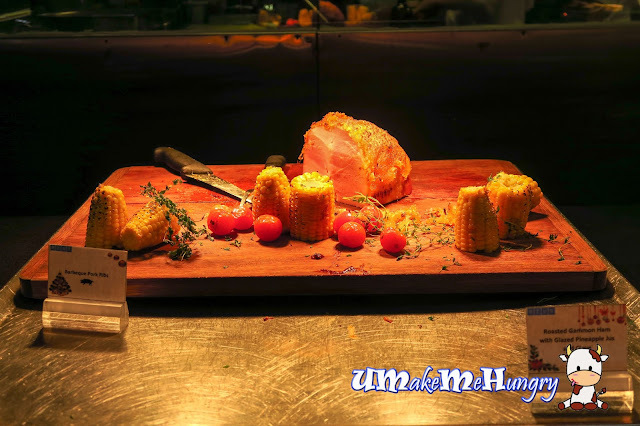 Conveniently located at level 2 of Crowne Plaza, Azur Restaurant's winning award buffet offers an extensive range of Asian and Western fare both suitable for locals and foreigners. 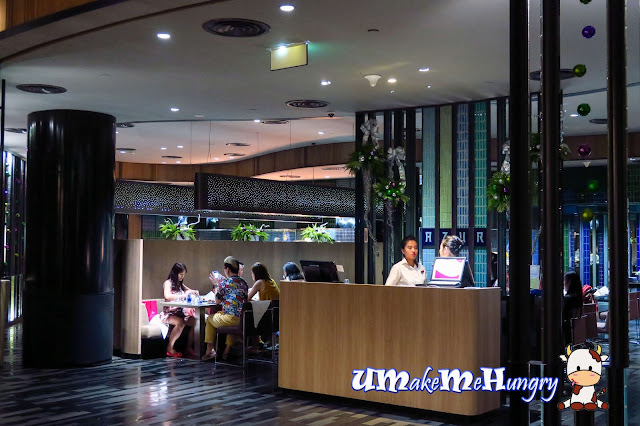 This 150 Seating restaurant has a beautiful interior with ceramic tiles in Ultramarine and black. 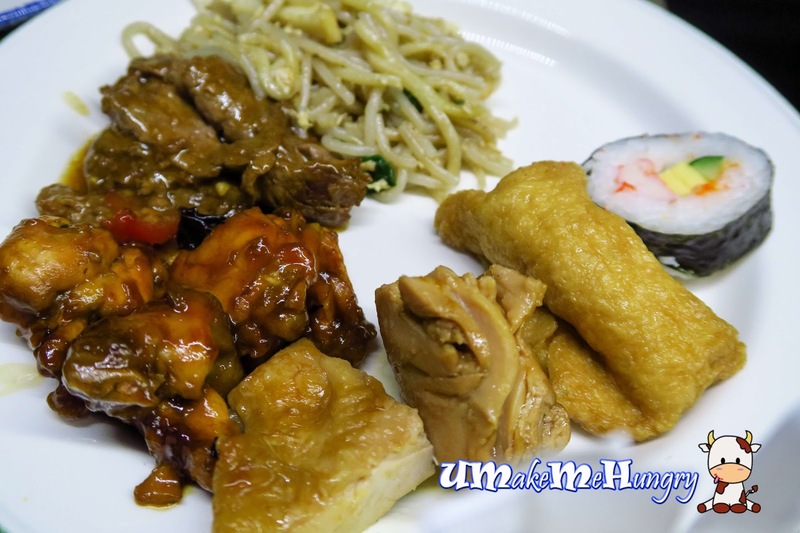 Quality and standard of food was above average and with good services rendered. Food were constantly topped up when it is almost finished in the heating pot. Variety may be limited over here as compared to the larger scale buffet in Singapore but I felt that the spread was already very decent. 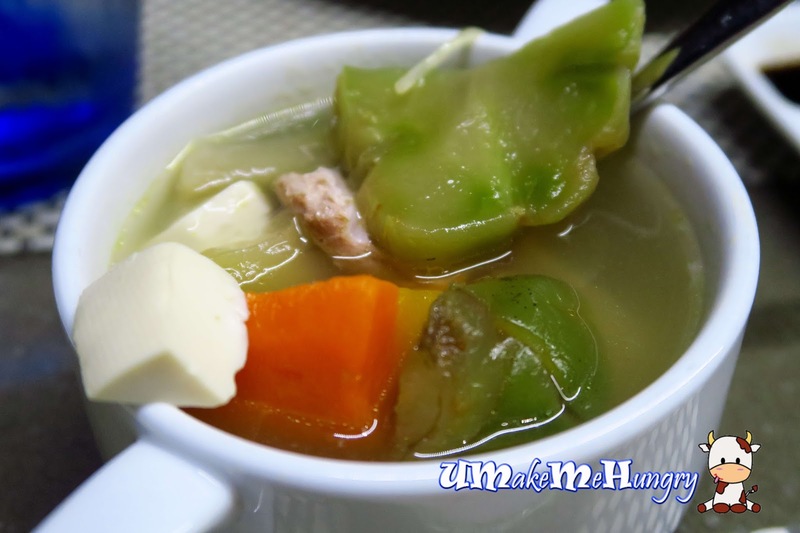 Enjoy a bowl of Asian Favourites, Salted Vegetable Tofu Soup. Salt was well balance by the natural sweetness from the meat as well as carrot. 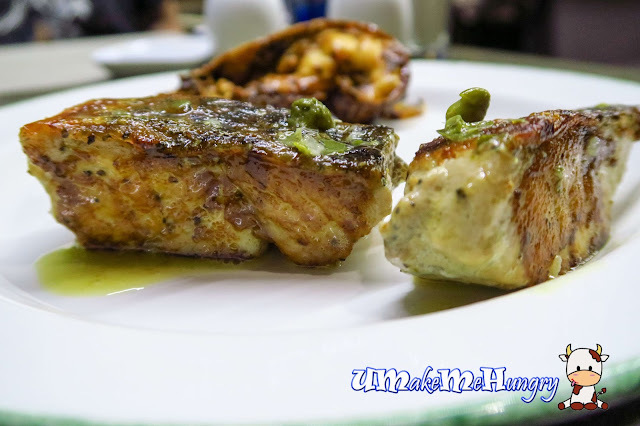 You can never go wrong by starting off your meal with this as it's quite appetizing. 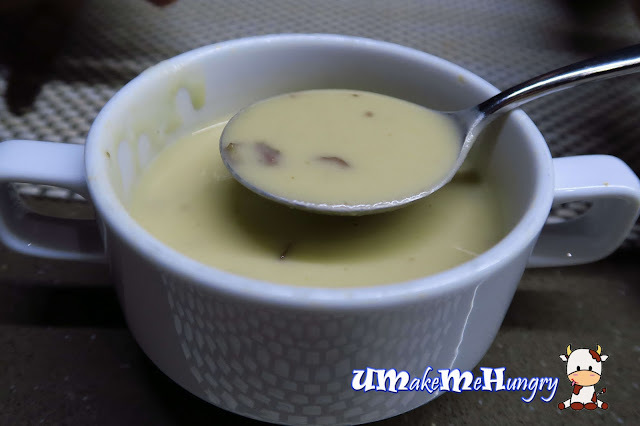 With Asian Soup around, they also catered in the westernized flavoured soup like the Cream of Cauliflower with bacon. Yummy, but take note that if you are still planning to have more food from your buffet, take this in sparingly as its quite "stomach occupying". 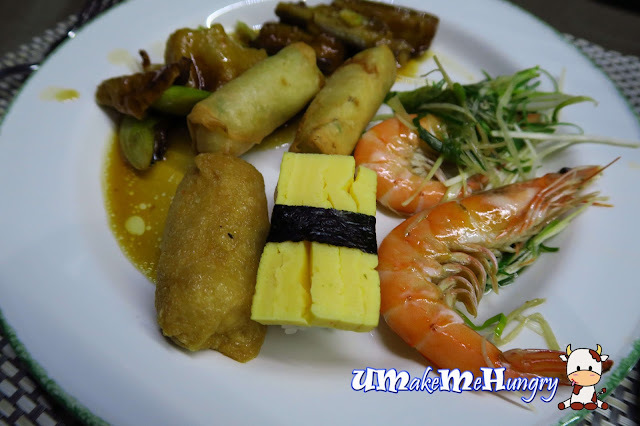 Local delights including our Fried Hokkien Mee was part of the buffet. 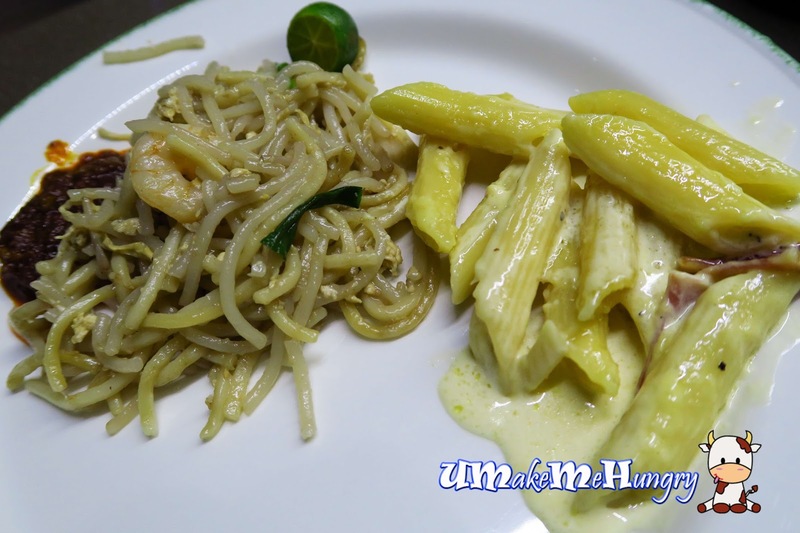 It was not to my liking with its over-moist noodles and the lack of the prawn oomph, it tasted nothing close to an usual plate of Hawker Hokkien Mee. Carbonara with Penne was cook to the correct texture and was not too bad. 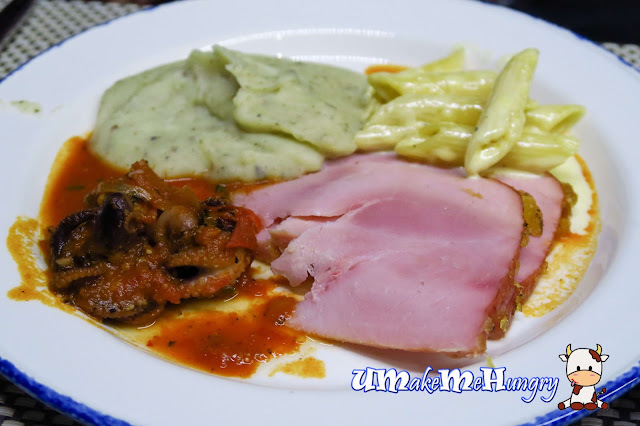 Western food range from Pasta, Ham, mashed Potatoes and other baked food items. Enjoy a good mix of Asian delicacies which includes Japanese Sushi, Inaris and even some sweet & Sour meat. 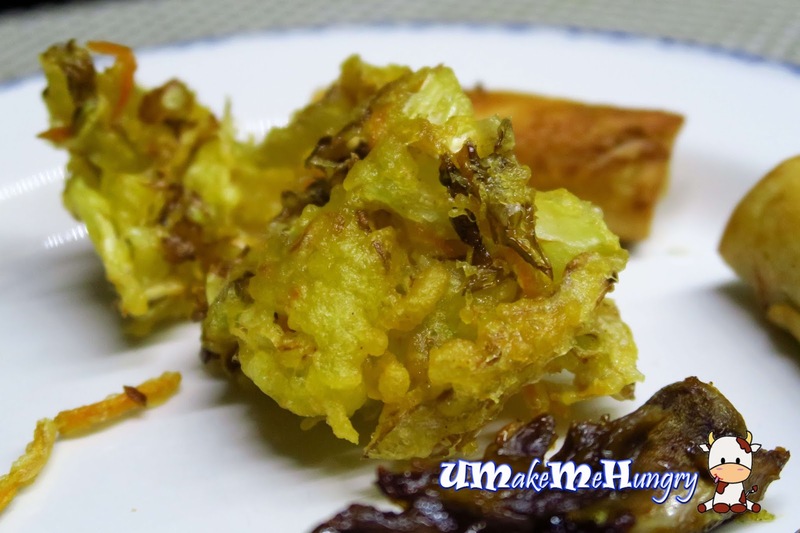 You can also get to enjoy small bites like Fried Spring Rolls. Prawns on the other hand was freshly steamed in scallions. Bursting full of Barbequed Flavours, with meat generously coated in its sauce. 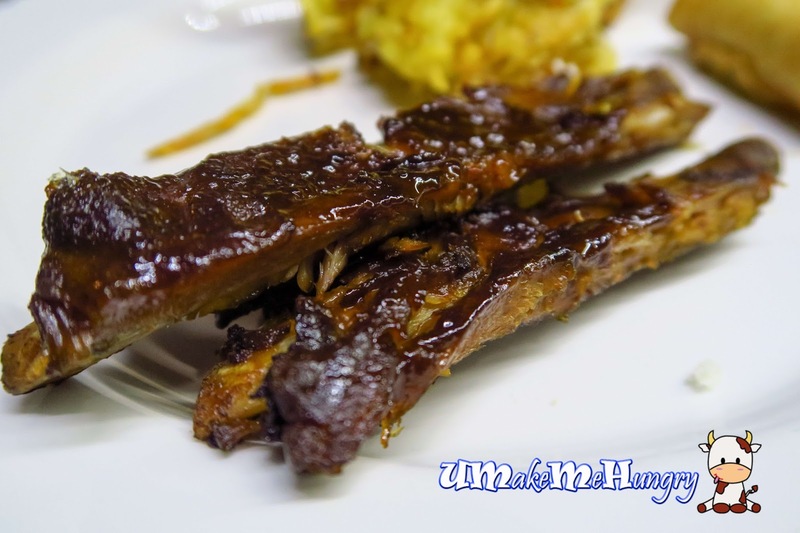 The pork easily fell off the ribs with slightest pressure and I simply love its tenderness too! 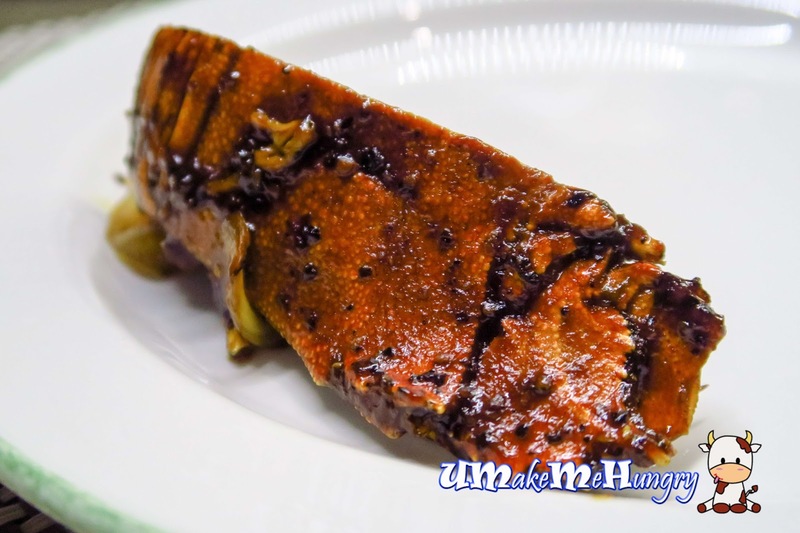 The crayfishes were easily depleted as soon as it comes out of the kitchen. It's such a common sight of our local culture "kisuism" in place, seeing our fellow Singaporeans cleared the full load of crayfish tray immediately after they were placed on the buffet counter. Besides feeling happy with its crayfish, we were please to enjoy the big chunky sea bass that was pan-seared. I love the part where its skin was charred and giving the crispy bite. 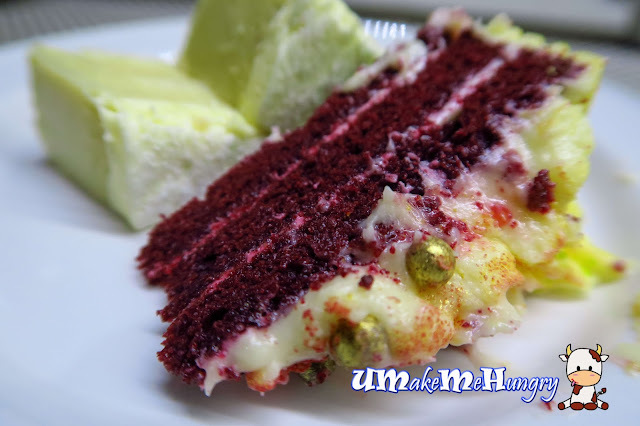 I'm not a Red Velvet person and I wasn't too keen and felt its topping was kind of cloying. The petite desserts were so lovely that makes me unbearable to have them eaten up. 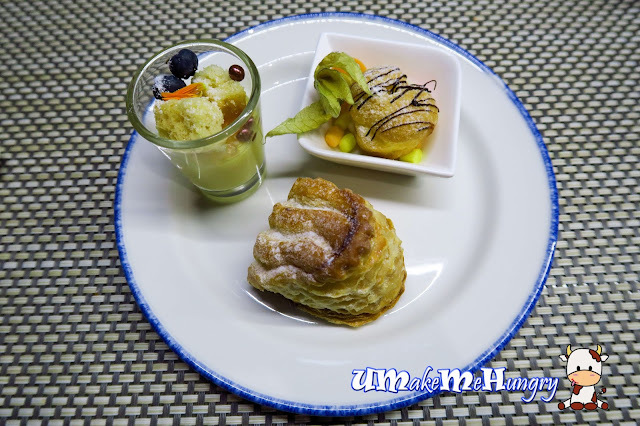 Little puffs and mango pudding were good! Yam and vanilla ice cream did not go well as expectation. 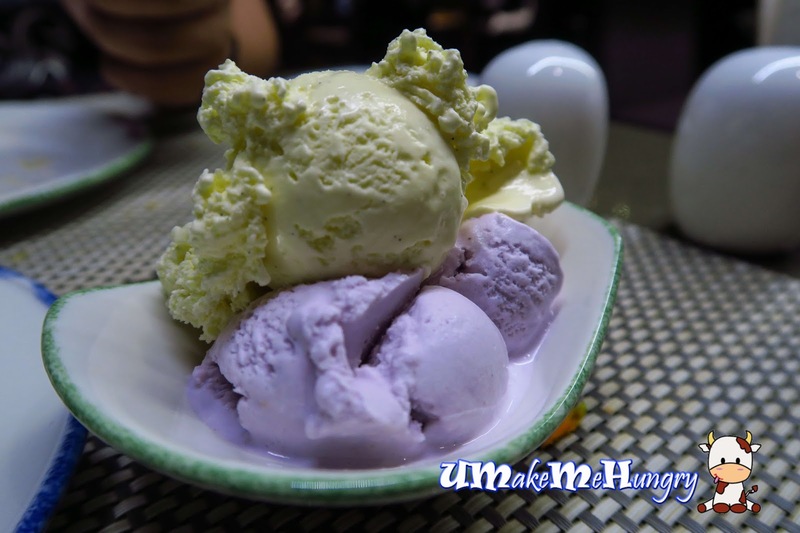 Vanilla was more towards a sour taste while Yam Ice Cream had an overpowering coconut milk taste. It has been a while since I had my last buffet. Though variety range may be a lacking here but food were definitely decent, despite visiting them on a weekday. Atmosphere of dining is worth your consideration too!